Big East Championship: This is it! Tonight marks the end of an era. The Big East has been one of, if not the top conference in all of basketball for the last decade or so. The Big East Tournament is on another level when it comes to conference tournaments. It has the feel of a mini-NCAA Tournament. 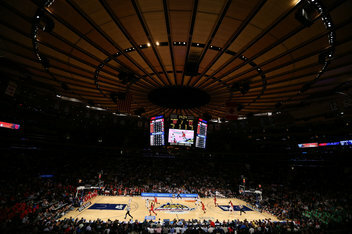 While half the teams are usually a lock for the NCAA Tournament field anyways, they still play the games as if their season may be over if they lose in Madison Square Garden. Other conference tournaments don’t even begin to compare when it comes to prestige. It truly is a special event. There are certainly more traditional Big East teams than UofL, such as Syracuse, Georgetown, UConn, St. John’s, and a few more. But since our arrival in the 2005-2006 season, we have been as competitive as anyone, and have definitely made our mark on the conference. This will be our 4th Big East Tournament Championship game, with the chance to win our 3rd. That is very impressive in that span of time. In our short time in the conference, we have definitely built up some rivalries. I definitely think of Syracuse as a rival. Our kryptonite over the years has been Georgetown, so they are somewhat of a rival to me. Games against Villanova and UConn have always been battles too. So they may not be rivalries that date back many decades, but they are rivalries that have great substance to them already. I hope we somehow continue to play teams like Marquette and Cincinnati. Cincinnati is an obvious rivalry game, and our many classics with Marquette have brought that game to another level also. I just saw a special on ESPN that was narrated by Sean McDonough, who does play-by-play for many of the best Big East games. It honored the big time moments in the conference, but also said how it will be a sad moment when it’s over. 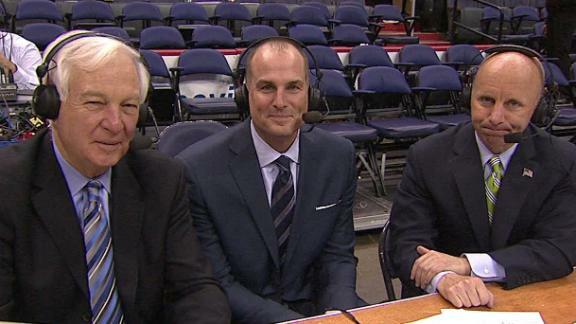 Jay Bilas said he will be most sad for their other broadcast partner, Bill Raftery, who was a coach for Seton Hall and has been a color analyst for many years for the Big East. That trio of announcers have been a big part of Big East basketball in recent years, and I would love to see them moved to ACC games so we can continue having them call our games. The whole country will be focused on this game tonight. And why not? Like I said, it is a mini-NCAA Tournament, and this is the championship. But again, tonight is bigger than that. It is bigger than Louisville and Syracuse. It is the end of something special. It’s Madison Square Garden. 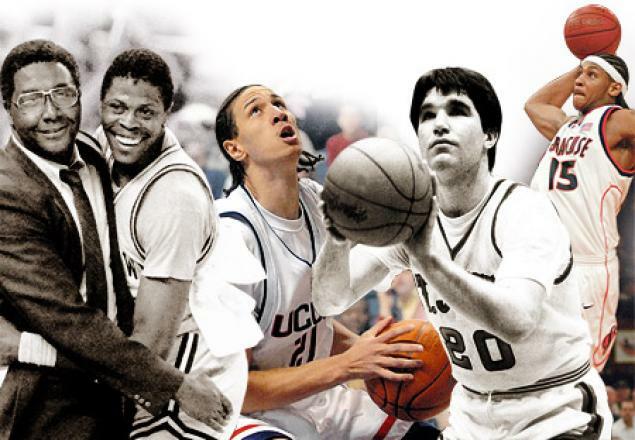 It’s memories from a conference that has given us “SEND IT IN JEROME!”, coaches like Jim Boeheim, John Thompson, Jim Calhoun…players like Patrick Ewing, Allen Iverson, Chris Mullin, Carmelo Anthony, Kemba Walker, Ray Allen, Derrick Coleman, and so many more. In this video, Bill Raftery looks back on some of the most memorable personalities and moments in Big East tournament history. So the Cards will move on to the ACC eventually, as will Syracuse, Notre Dame, and Pittsburgh. Those days will be great. And who knows? We could possibly have MSG hosting the ACC Tournament too, which will create new memories and traditions. But let’s not get ahead of ourselves or this moment. Just take it all in, and enjoy this game tonight. Win or lose, the Cards are going to be apart of something pretty special, and that is something that we should all enjoy!